I went to see the latest Pedro Almod?var film Volver starring Penelope Cruz and Carmen Maura. It's a great film full of vibrant colours and a subversive plot. In Volver, Almod?var returns to exploring the lives of Spanish women - which characterized his early films - and to his quirky sense of humour. 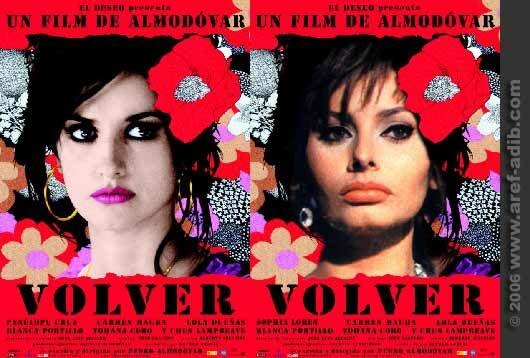 Apparently for Volver, Almod?var asked Cruz to wear a "false bum" so she would appear more curvy like Sophia Loren.